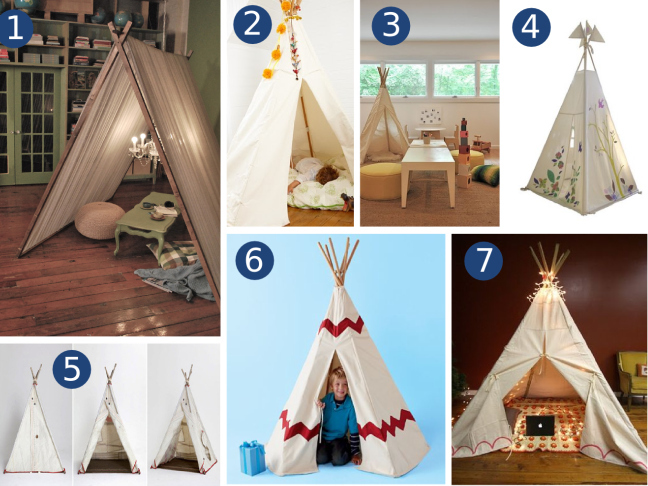 Tents and teepees are fun for the whole family and are an easy way to add whimsy to your home! Remember how cool hideaways were as a kid? How you'd drape blankets over the dining room table or strategically-placed chairs and crawl inside into your own little world? Nowadays, these secret spaces come ready-made, and even do-it-yourself versions are a lot more sophisticated than they used to be. Whether you decide to splurge on a pricey tent or make your own, putting one in a playroom, kids' bedroom, or even a living room will give your little one their very own space to play for hours. And don't be surprised if you join them!